It’s Fall Break and that means we actually make and eat breakfast together! While I was getting groceries this week, I found Kodiak Cakes. Luke had two waffles with sugar free syrup and a cup of Fairlife milk for 45g carbs and 25g protein! TWENTY-FIVE GRAMS OF PROTEIN! (And they’re tasty, too!) I think we might be out of our breakfast rut for a little bit. 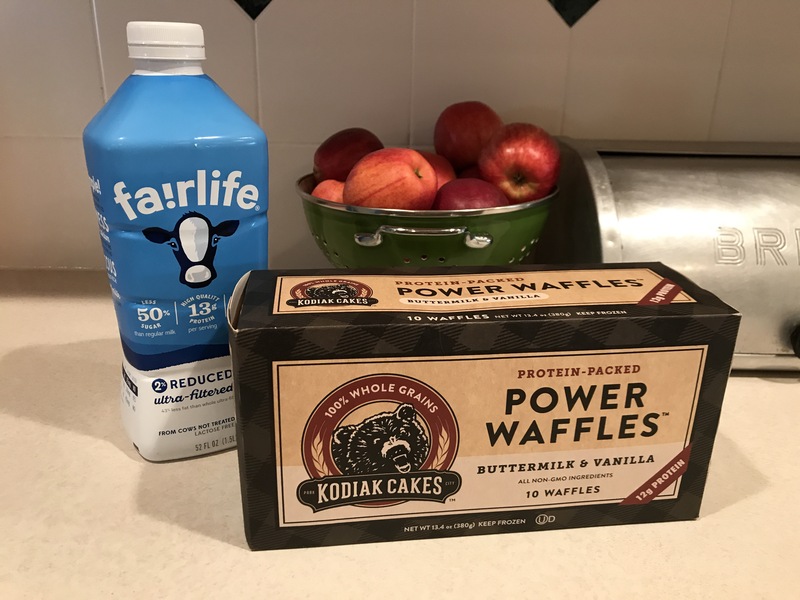 PS I also picked up the Kodiak Cake pancake and waffle mix at Kroger… it is on sale this week for $4.99! Previous Post Type 1 Tips: Keeping track of expiration dates.